CanSkate - skatemorrisburgs jimdo page! CanSkate is Skate Canada’s flagship learn-to-skate program designed for beginner skaters of all ages. The program focuses on fun, participation and basic skill development. Badges are earned as participant learns the fundamental skating skills. Lessons are given in a group format and led by an (NCCP) certified professional coach. Professional coaches are assisted by trained Program Assistants (PAs). The coach to student ratio is set at a maximum of 1:10. Coaches make sessions active using teaching aids, music and a variety of activities that create a fun environment and promote learning. 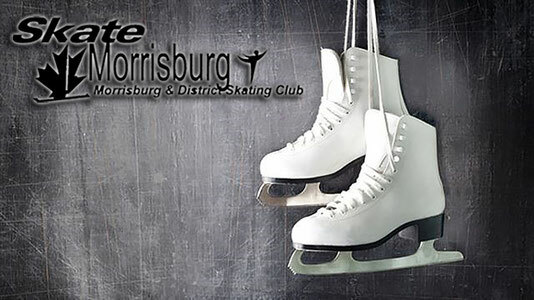 The program is developed by experts to teach the fundamentals of skating in a progressive, sequential manner. The CanSkate program focuses on the development of balance, control and agility which is organized into six stages of learning. Each stage has a primary focus. When the skills of each stage are mastered, a ribbon is awarded to the skater for each skill component: balance, control and agility. Once the skater has achieved all 3 ribbons for the level they receive their badge moving on to the next stage. CanSkate badges for the six stages are listed below. Need more information? Click here to view our CanSkate Calendar of events and our CanSkate FAQ's.